Are you familiar with anyone who can benefit from our services at Greenbelt Finger Printing Services? Refer them now using our online form. Greenbelt Finger Printing Services strives to provide affordable and dependable background checking and identity-related services to the residents of Berwyn Heights, MD and the surrounding areas. Let us know what you think about our services. We highly value your honest feedback and thoughts. People want to feel safe and they want to know who is working for them and with them. This need for security has resulted in the increased need for individual and employment background checks. The information that you can glean from a background check is beneficial in the protection of businesses, clients, co-workers, and any individual who hire the services for another person or entity. 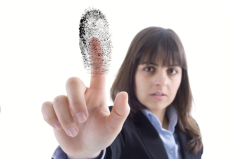 At Greenbelt Finger Printing Services, we provide a variety of reliable identity-related services. From fingerprinting, state identity history checks, to other related services, we are here to provide you with the services that you need to feel safe and secure. We work closely with every client to ensure that individual needs and requests are being met. We understand that each client has different needs, and we endeavor to meet these differences. Our services are reasonably priced to make it more accessible to those who need it. It is worth noting that despite our relatively inexpensive prices, the quality of our services is top of the line. You can get driving directions online. See you soon!